A fully illustrated catalogue with an introductory text by Robert Pincus-Witten is available ($25 postpaid). Installation shots of the exhibition, as well as high-resolution digital images of specific paintings are also available to the press upon request. 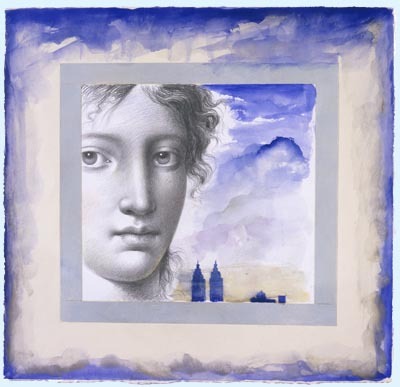 “Carlo Maria Mariani: Works on Paper 1987-2007” will open at Francis M. Naumann Fine Art in New York on September 26, 2007. 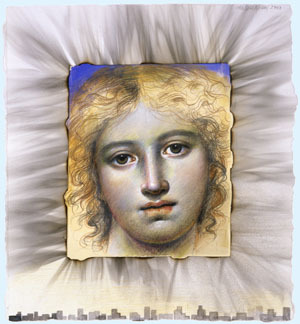 An opening reception for the artist is scheduled for October 12, 2007, from 6:00 PM to 8:00 PM. 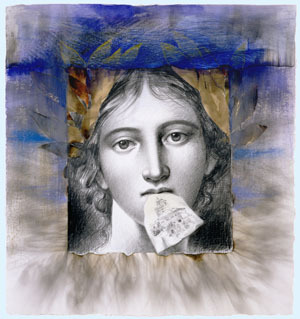 Mariani, an internationally renowned artist, is best known for large-scale paintings that in both subject and technique strive to achieve what the artist calls “an ideal in art." Influenced simultaneously by the great masters (Mariani was born and raised in Rome, but now lives in New York) and the conceptual art movement of the 1970s, his work initiated a meaningful renewal of painting. As early as the 1970s, through the use of conceptual photography and replicated imagery, Mariani introduced the use of systematic “citations” from the masters; he was, therefore, a precursor of appropriation art by more than a decade. He achieves a free interpretation of the classical style in painting and drawing to propose a concept of beauty that reflects a lifelong fascination with the incongruity between classical ideals and the chaotic era in which he lives. 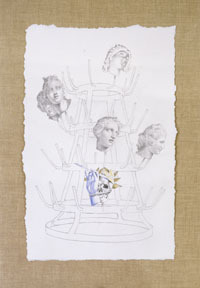 Thereby, he uniquely fuses the past with the present (an approach Mariani himself has called “conceptual painting”). 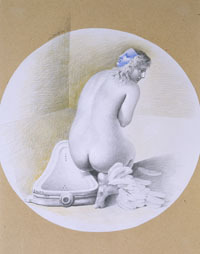 Most of Mariani's paintings are preceded by drawings, works on paper that range from small pencil studies to larger works in pastel, charcoal, watercolor and colored pencil. 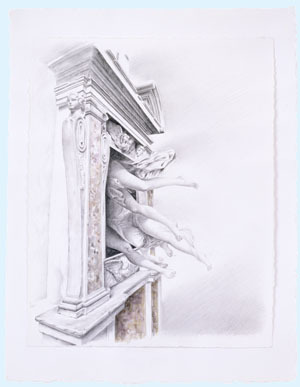 It is through the drawings that we are given a privileged insight into his thought processes. 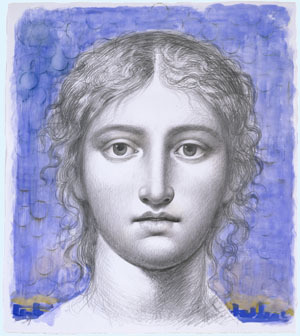 Whereas his paintings are comparatively well known (examples are in some of the most prestigious private and public collections in Europe and the United States), his drawings are rarely seen and, by contrast, are known only to connoisseurs of his work. 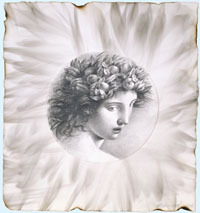 Twenty examples—dating from the last two decades of his production—have been selected for the present exhibition, beginning with the elegant drawing of a classical head in white pastel on beige-colored paper from 1987, to the perplexing image of a classically beautiful female head peering out from an array of automobile tires from 2007. 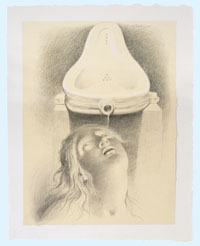 In nearly every work, Mariani’s natural talent and impressive skill as a draftsman are clearly evident. 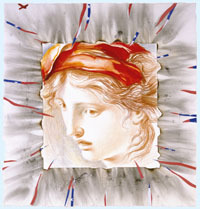 His mastery of the human figure is unequaled among contemporary artists, but what may come as a surprise to many is that this classically trained painter is equally adept at a variety of modernist techniques, ranging from collage and photomontage, to experiments in burning paper to create radiant patterns. 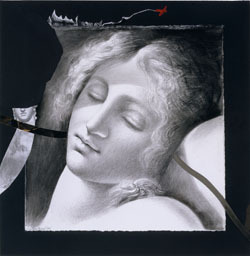 Mariani’s complex subjects are intended to engage viewers, while his superb mastery of technique—perhaps best revealed through works on paper—convey these ideas with a refinement and elegance that is virtually unsurpassed in the panoply of contemporary art.